Years ago I attended a series of lectures sponsored by the Cleveland Clinic to promote its proprietary lab tests that were geared to detect previously undetectable causes of heart attacks and strokes. A cardiologist at Cleveland Clinic, along with a research nurse out of Emory University Hospital and Medical Center, noted that 50% of the men having heart attacks and strokes were within the recommended life and health guidelines. They didn’t smoke, their blood pressures were controlled, they had lipids within the recommended guidelines and their weight was appropriate – as was their activity level. They unofficially dubbed it the Supermen study and showed that by reducing “inflammation” they could reduce the number of heart attacks and strokes. They concentrated on periodontal disease and rheumatologic diseases as sources of inflammation. They believed that angina and heart attacks and strokes did not occur because a blood vessel gradually narrowed much like a plumbing pipe clogged with hair and debris. They felt that soft lipid plaque under the surface in vehicles dubbed “foam cells” ruptured through the blood vessel wall into the lumen through the endothelial lining under the direction of inflammation in the body. This breakthrough into the blood carrying portion of the blood vessel was perceived as a fresh cut or wound which was bleeding. The body’s natural response was to try and stop the bleeding by creating a clot. This clot occurred quickly in a small vessel and every living item downstream, not supplied by a collateral blood vessel, died from lack of oxygen and fuel to function. They treated the identifiable inflammation and felt that statin medications (Lipitor, Zocor, Pravachol, Crestor , Livalo and the generics) had an of- label quality that reduced inflammation as well as lowered the cholesterol. I bought into that theory and incorporated these blood tests into the patient population most at risk and the appropriate age where prevention would make a major difference. Tests like hsCRP, Myeloperoxidase, Apo-B and others were used for screening. Finding the inflammation and treating it for men who met the definition for entry into the Supermen study was far more difficult. The whole theory of inflammation causing acute cardiac and cerebrovascular events was treated much like climate change, genetically modified foods and even vaccinations with a large degree of community doubt. Last week at a major European Cardiology meeting the CANTOS (Canakinumab Anti-inflammatory Thrombosis Outcomes Study) showed that by administering an anti- inflammatory medicine for three plus years at an appropriate dosage, we could reduce the number of heart attacks and strokes significantly. Using a monoclonal antibody, “Canakinumab” at 150 mg every third month they treated inflammation and reduced the number of events. The downside was the annual cost of this medicine currently stands at about $200,000 per year making it unavailable for most of us. The surprising and startling finding was that it reduced lung cancers by 70% and other malignancies as well. The true finding in this study may be its use as a cancer weapon in the future. The study truly opened the door for research into new and less expensive approaches to treating inflammation. It validated inflammation as a pathway to vascular disease. Now we need to find a way to make that treatment affordable to all. Biphosphonate drugs such as Fosamax, Boniva and Actonel are used commonly to treat osteoporosis and to prevent the progression of bone disease from low mineralization or osteopenia to osteoporosis. The most common side effect we normally see is gastrointestinal upset with inflammation of the esophagus and stomach especially when the pill is not swallowed with sufficient liquids. Patients receiving biphosphonates are cautioned to take the pill with sufficient liquid, while remaining upright for 45 minutes to an hour. Biphosphonates have revolutionized the prevention of and treatment of osteoporotic bone disease. In October’s issue of Chest Medical Journal Dr. Abhishek Sarma, MD, of Maimonides Medical Center in Brooklyn, N.Y. shows that biphosphonate use is associated with an increased risk of developing the arrhythmia atrial fibrillation. 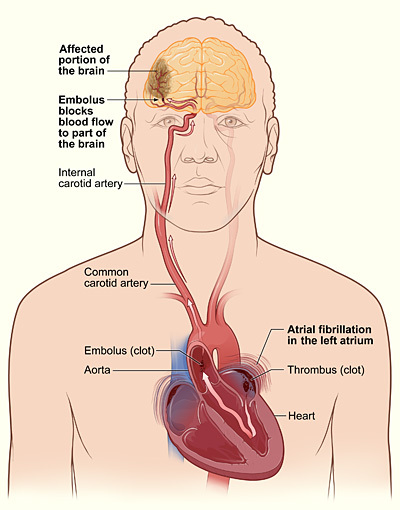 Atrial fibrillation is a disorderly rhythm of the upper chambers of the heart leading to ineffective blood flow and increased risks of clots forming in the heart chambers and disseminating causing strokes. Older adults, the same patient population that is at risk for osteoporosis, is the patient group who when they develop atrial fibrillation require the use of blood thinners such as warfarin or xarelto or elliquis to prevent clot formation and strokes. Dr. Sharma performed a review of existing randomized controlled and observational studies. He concluded there was a 27% increased risk of developing atrial fibrillation if you were taking biphosphonates. They looked at six observational studies with almost 150,000 participants and six randomized controlled trials with 41,000 patients. The increased risk occurred in patients taking the biphosphonates by mouth or by intravenous infusion. They postulated that biphosphonate use triggers an inflammatory protein that effects intracellular calcium and leads to arrhythmias. The study clearly requires follow-up. If you stop the biphosphonates will the patient return to a normal rhythm on their own or if chemically or electrically shocked back into a normal rhythm? It is clear that we need to prevent and treat osteoporosis but it is now important for us to determine what this new finding means to a person’s long term health. If you are taking biphosphonates speak to your physician about this new finding and how or if it relates to you. Diane Threapleton, MSC, of the University of Leeds, England, and colleagues reported in the online version of Stroke that eating more dietary fiber may modestly reduce your chances of having a stroke. Additional grams of dietary fiber intake was associated with a 7% lower risk of hemorrhagic or ischemic stroke. She said a 7 gram per day increase in fiber is easy to achieve being the equivalent of two servings of fruit like apples or oranges or an extra serving of beans. United States guidelines call for the average man to consume 30 – 38 grams of fiber per day while the average women should consume 21-25 grams. We fall far short of that with the average male consuming only 17 grams of fiber per day and the average woman only 13 grams. Once again, nutritional common sense prevails. 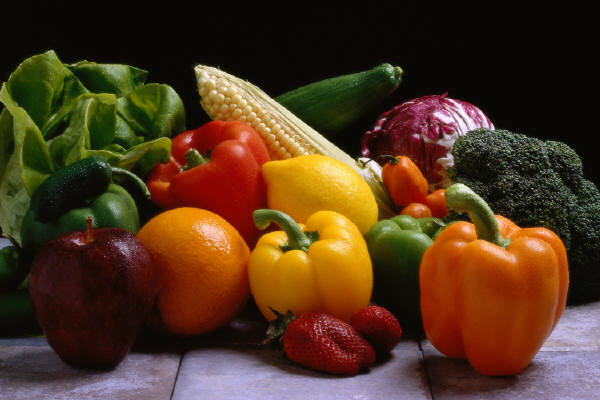 Eating healthy, including more fresh fruits, vegetables and whole grain products results in more fiber ingested and fewer health issues occurring.